Watching a game at a rink can be a loud experience. There is music playing in between whistles and coaches and parents yelling instructions to the players on the ice. It’s easy for the game’s youngest players to become overwhelmed trying to listen to everyone at once and end up misinterpreting the messages being delivered. No player wants to make a mistake and having them focus on not making a mistake instead of choosing the correct play is not good for their development. It can be tough to think about how words are taken in from a player’s perspective. Remember that players often understand lessons easier if they are demonstrated beforehand. Below is a breakdown of some commonly heard instructions at a rink and how the player’s thoughts on it may differ from the coach’s meaning. Players don’t always understand the jargon being used by adults and sometimes need the game to be broken down into much simpler, direct wording. Often when the puck is trapped deep in your own zone your first instinct is to just get rid of it whatever way possible. Players need to learn what it’s like to have the puck in their possession and go through the decision-making process. Children learn by making mistakes and forcing them to rush a play to avoid a potential lesson shouldn’t be the end goal. Put the decision-making onus onto the player with a more direct instruction. Get them to “choose the right pass” or “try and find a teammate” when this situation arises in the future instead of panicking and blindly trying to shoot the puck out of the zone. 2. "Stand on the blue line." Sure, this is a good starting point. But then what? When the puck goes the other way, should a player stay standing or follow the play? If the puck goes past them on offence and the team needs to reset when the puck leaves the zone, what should the player do? 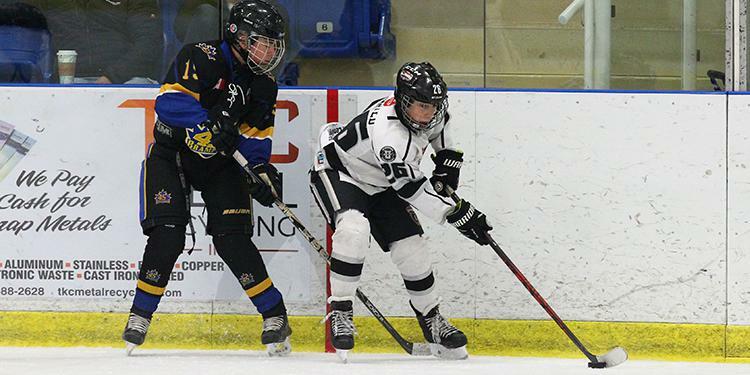 Step-by-step instructions aren't necessary either, but encouraging players to ‘try to not let the puck go offside’ gives them the freedom to move around and keeps them involved. 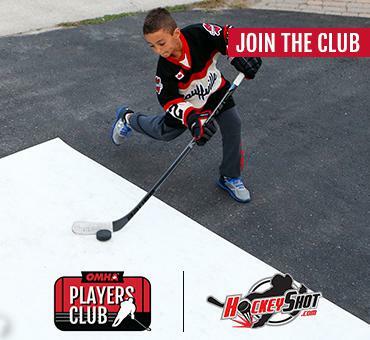 We want our players to grow their creativity on the ice. Players should have fun and locking them into a ‘system’ at a young age limits what they can do with the puck. This also enforces that the coach does not trust their player to get out of the situation. As mentioned above, players learn by making mistakes. If they are showboating with the puck and end up turning it over, they will know next time that a simpler pass is a better option. These plays, when they work, can change the momentum of a game. Coaches can communicate with their players when getting creative with the puck may be an appropriate time. 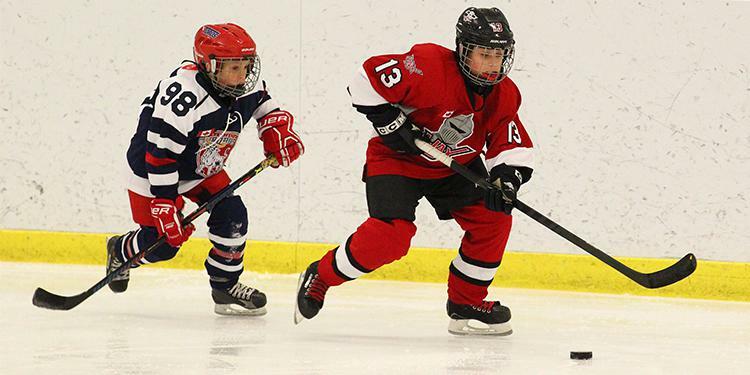 Encourage players to switch up their styles with the puck and try new things. Ask them what they were trying to accomplish and give them tips on how it can work out better next time. If at first you don’t succeed, try, try again, right? Players shouldn’t fear failure. Coaches want all of their players to be involved in the action on the ice. Explain to players the concept of ‘getting open’ and ‘spreading out’ for a pass and how everyone can still have an impact without chasing down the puck. Alternatively on defence, give every player a role or a player to ‘stick to’. This keeps every player engaged and focused on a smaller task instead of something broader like ‘getting the puck out of the zone’. Teaching players to use the boards to their advantage can get them out of tight situations with the puck. But in hockey, there are no ‘walls’ on the ice surface, rather they are known as ‘boards’. There is already plenty of hockey jargon being thrown around that players can have trouble understanding so using the correct terminology can help ease some of the confusion.